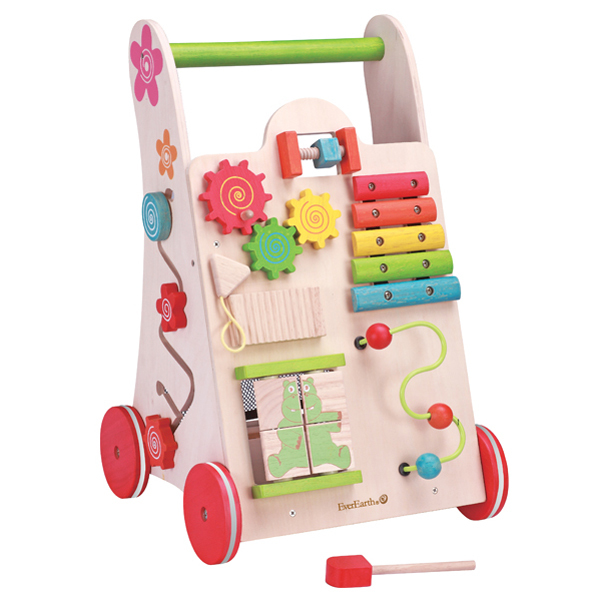 The EverEarth Activity Walker has loads of fun interactive activities that toddlers will love and will keep them busy for hours! 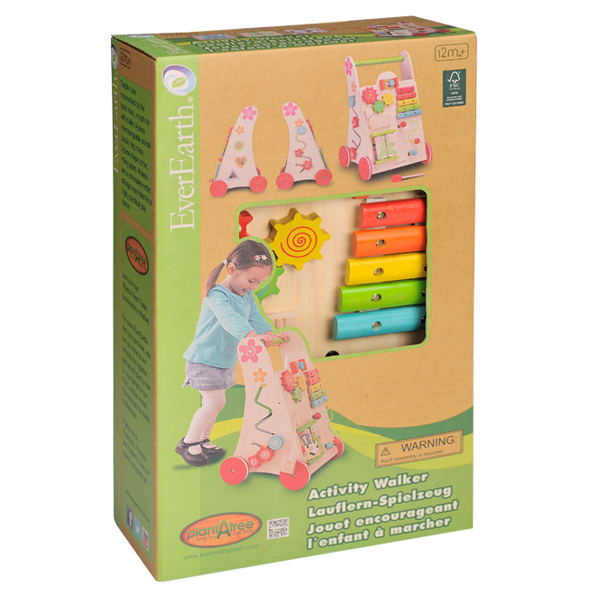 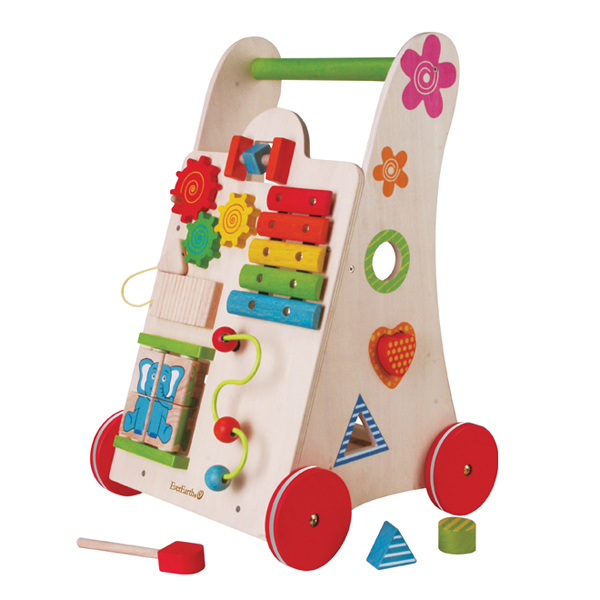 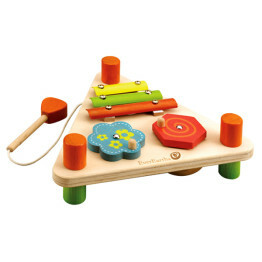 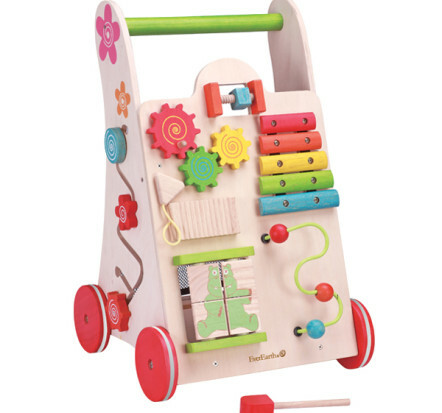 Includes bead maze, xylophone with mallet, 4-piece interchangeable animal puzzle, peg maze, 3-piece shape sorter, rolling gear, wheels & a concealed netted storage area. 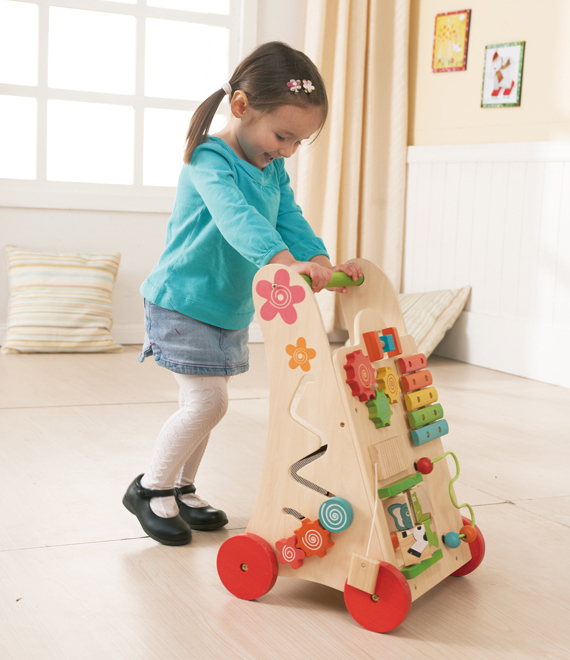 The EverEarth Activity Walker is the perfect toddlers play station!